Multiple players in the trade have teamed up to conduct a study led by the CSTB to compare the thermal performance of spray-on insulation and rock wool panels. According to the results of this study, the joints and metal fastenings of traditional insulation panels are a source of thermal bridges. An additional thermal bridge is formed due to the load-bearing structures, which are often impossible to insulate using this kind of system. Conversely, spray-on insulation materials can cover all of the surface requiring insulation, providing continuous coverage and limiting thermal bridges. For this reason, although insulation panels may have better lambda thermal conductivity than spray-on insulation, insulation panels, due to their installation constraints, are likely to be less effective in terms of heat loss once they are installed. Study DER/HTO2010-336-AD/LS conducted by the CSTB, which compared these two insulation types, confirms this reasoning. 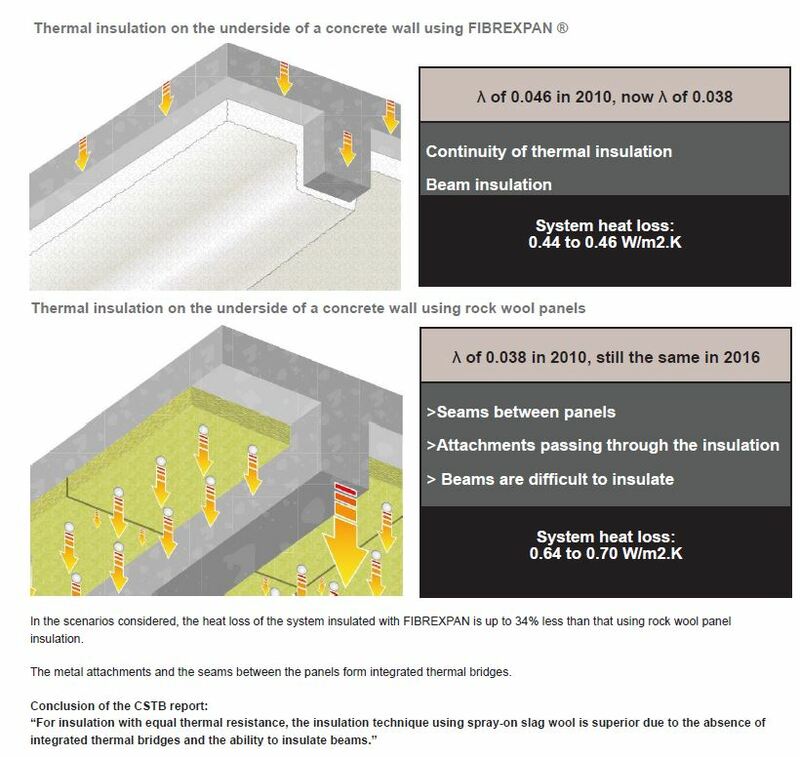 The study report specifies that heat loss in a system insulated using spray-on coating is up to 34% lower than for a system using rock wool panels. These conclusive results can be attributed to “the absence of integrated thermal bridges and the ability to insulate beams (with spray-on insulation)”.